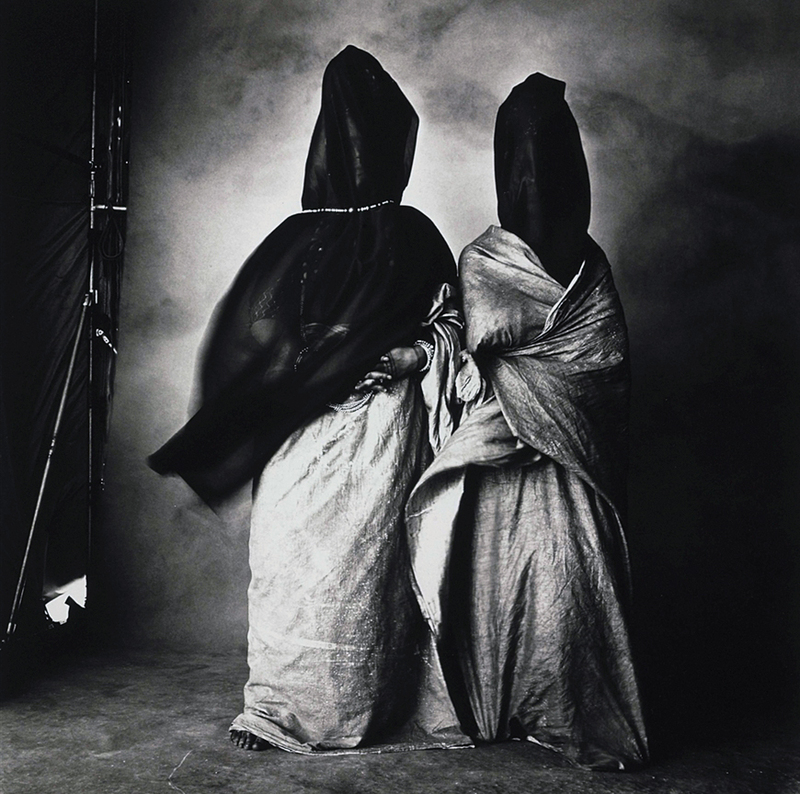 American photographer Irving Penn (1917 – 2009) is widely known for his fashion, portrait, and still life images, but he also pursued numerous opportunities to photograph the indigenous people of Africa, Latin America and Melanesia. 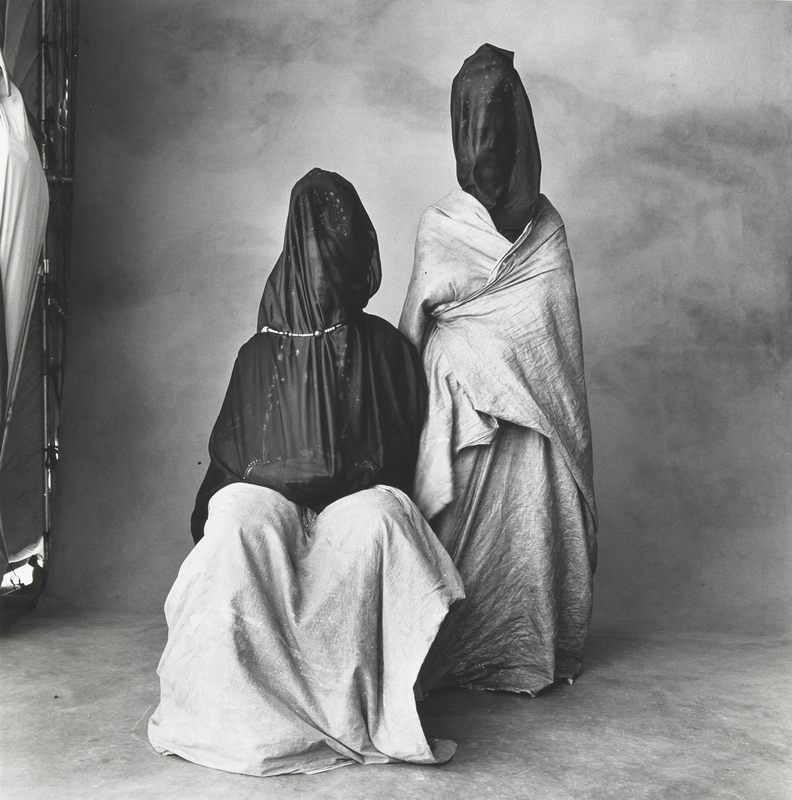 In 1948 Penn went to Cuzco, a small town in the centre of the Peruvian Andes, to photograph its inhabitants. Photographing with northern light, Penn posed his sitters in manners that emphasized the texture and form of their garments and presented them with honesty through the strength of their expressions. Despite the cultural gulf that separated photographer and subject, Penn’s portraits stand as sensitive and intimate records. In the years following his work in Cuzco, Penn continued to travel the globe with the curiosity of an anthropologist and the eye of an artist. He would design and build a portable studio for his travel into isolated areas. In 1967, he landed in Dahomey, a region now part of Benin. With his tent studio in tow, Penn installed his set throughout the country, documenting the pride and splendour of its many tribes. Two years later, he travelled to Cameroon to photograph the Kirdi, a Sudanese speaking ethnic minority from the north. In the solitude of his portable studio, Penn made visual records of a people imbued with inner peace and spiritual gravity. During his travels, Penn produced some of his best photographs in 1970 in the highlands of New Guinea. In this mountainous territory, he made majestic portraits of villagers elaborately deco¬rated with a body art unique to the region. 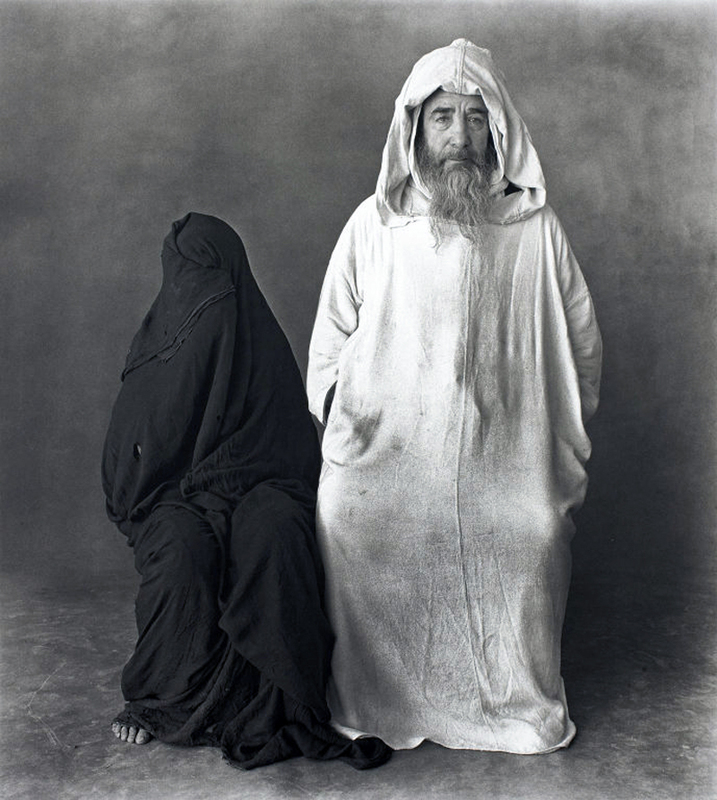 A year later, Penn carried out his final trip of this kind to Morocco, a place both familiar and mysterious to him, to photograph the men and often veiled women of the Arabic tribes along the Atlas mountain range. Wow, these are fascinating, though kind of creepy. Those are really strong, but to me terrifying. 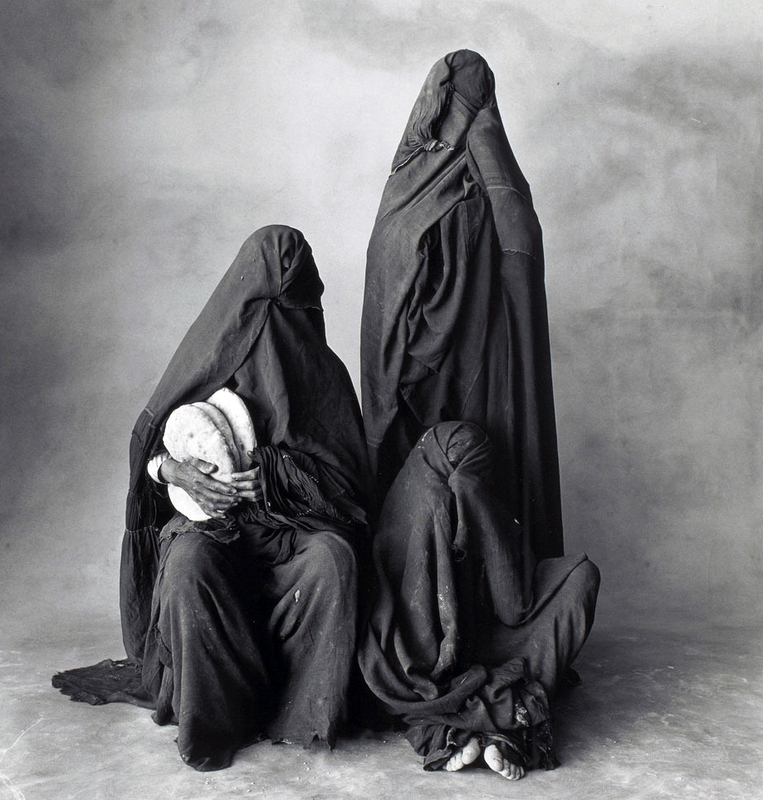 Really intense, fascinating, and haunting work.